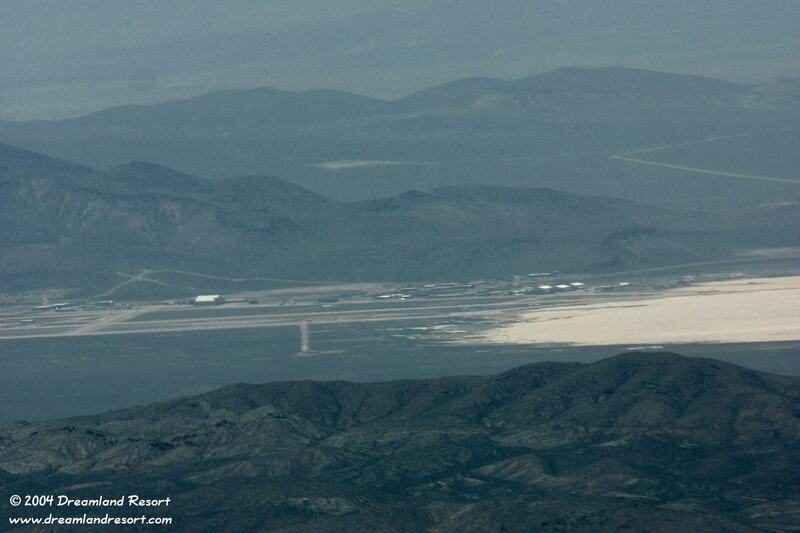 Close-up of Area 51 from 26 miles away, near Tikaboo Peak. The quality is clearly affected by the haze that day. The Janet terminal, which is obstructed from Tikaboo, can be seen in the center of the photo. It looks like one Janet is parked at the ramp, and another Janet is just taxiing past the northern hangars. Some type of facility, which is also not visible from Tikaboo, can be seen on the back side of Papoose Mountain, near the road to Gate 700 and the NTS.